Get involved and enjoy this unique opportunity to learn from this incredible line up of artists. Taking place each day ahead of the festival in the Sadler’s Wells studios it’s a great time to hear artists share their skills, tricks and techniques in one-off intensive workshops. Our workshops are very popular, so make sure to book early to avoid missing out. All our workshops cost just £10 plus transaction fee of £3 for online bookings. No charge in person at Ticket Office. Our workshops are open to everyone, including non ticket-holders for Breakin' Convention. Tickets go on sale Thursday 11 April. Take part in a specialised conditioning seminar created for the needs of street style dancers. Prepare your body for battle and stay injury-free with training guidance, science behind workouts, and tips for suggested warm-ups and stretching methods (appropriate for all hip-hop styles). Want to continue dancing long into later life? This workshop is for you. Take a workshop with current Battle of the Year world champions who will be teaching the elements of breaking and exploring different variations of moves from the basics up. Knowledge and history of house style and musical timings will be discussed throughout the class with Bly taking you through foundational drills to basic steps and how to turn them into variations, ending with a fun routine putting everything into practice. Learn the basics of locking with The Locksmith’s Mr Ben. Expect to leave with a knowledge of the foundations to the funkiest dance style in the world, and prepared for any Soul Train line situation. An introduction to KRUMP movement and foundation from Theo ‘Godson’ Oloyade. Expect to release your inner buck, closing with a session afterwards. Junior shares his 25 years of experience in breaking to give you the tools to progress in your practice. Focusing on five aspects including musicality, foundation and originality and execution and charisma. Known for their mesmerising kaleidoscopic routines, this workshop will involve the learning of lines and shapes how to create and be connected with someone and how to find all possibilities within those forms, involving musicality, technique and groove. Each day Breakin' Convention spills out into the foyers as they come alive with dance, music and art. After collecting your wristband admire the grand international mural, or grab some merchandise from the shop. Head upstairs to the Mezzanine level and get down in the dance circles, with live music from resident DJs Tha En4cers. Pre-show we have an emcee to warm you up for the main stage, and a beatboxer during the interval. Now it's time to find your feet and learn the freshest moves! If you're not quite ready to take a masterclass, let us take you through some basic steps for free. And for the younger kids, look out for the Tiny Totrock Sessions. It's time to get creative, grab some markers and create your own tag, or if you're a beginner, fill out some of our pre-drawn templates. No two shows are ever the same in this spontaneous collection of skits brought to life through the elements of hip hop from dance and beatboxing to turntablism and rap. The excitement of Freestyle Funk Forum can’t be contained, after appearing at the Harlem Apollo and festivals like Lovebox, Camp Bestival and Wilderness, Freestyle Funk Forum makes its welcome return to London for Breakin' Convention '18. Freestyle Funk Forum will take place on Sunday and Monday only and is scheduled around the main stage performances so they do not clash. Festival tickets do not guarantee entry to Freestyle Funk Forum. But tickets are FREE to festival ticket holders. Non-ticket holders can purchase tickets for Freestyle Funk Forum for £5. Tickets will be available on the Sunday and Monday for that day's performance from the Sadler's Wells Ticket Office in person, and a limited number of tickets will also be held back at the Lilian Baylis Studio entrance. Breakin' Convention's infamous after party returns on Sunday 5 May. Come get down, meet the artists and join us in celebrating Breakin' Convention with a night of hip hop culture in full effect at O2 Academy Islington. Don't forget to keep your festival wristband on for discounted entry. Tickets £7.90 via Ticketmaster. Ticket handling fees may apply. Further ticketing conditions can be found on Ticketmaster website. There are no turns into St. John St from Pentonville, City and Goswell Roads. The easiest route is from Pentonville Road into the west side of Claremont Square and down Amwell Street. Parking on Hardwick Street and other streets off Rosebery Avenue is free after 6.30pm Mon-Fri and from 1.30pm on Saturdays (heavy fines apply to parking in residents' bays). There is a large 24 hour car park in nearby Bowling Green Lane. Take the Stansted express to Tottenham Hale. Then take the Victoria line to Kings Cross station and transfer to the Northern line to Angel. Take the Piccadilly line to Kings Cross station and transfer to the Northern line to Angel. Take the Gatwick express to Victoria station, then the Victoria line to Kings Cross and transfer to the Northern line to Angel. If you’re coming from out of town there’s plenty of places to stay. 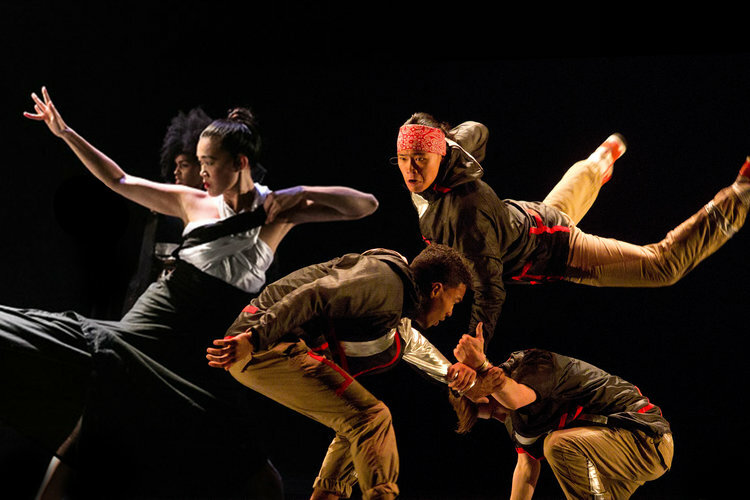 Breakin' Convention at Sadler's Wells is based in Angel, Islington, London situated near several key transport links: Angel Tube Station (Northern line, 250 metres); King's Cross St Pancras and Euston.